Let our financing department help you apply today. Service your vehicle with our trained technicians. Exceptional Savings, Extraordinary Service. When you come to us for service, we make sure your Honda receives the attention it deserves – and you receive the savings you’re looking for. Joined my daughter when she was leasing a Honda Civic. Salesman Kim Carter made her experience easy and thorough. My daughter is new to Dallas and getting the car she wanted in a hassle free comfortable wAy was great. I would recommend Mr. Carter to anyone looking for a Honda. Rusty Wallis is the place to go. This was my first time at this dealership to have service done on a vehicle that I already owed. Throughout the service, they kept in touch with me. There were a couple of problems discovered that needed immediate attention. I did not know about the problems before going in for service. Since we are about to go on a couple of trips, it was critical that these problems be discovered and repaired. They did that for me. Now, my Accord needs service. The “wrench” just came up on my information area. So, I will be back soon. I moved to Texas from California and knew I wanted another Honda.. 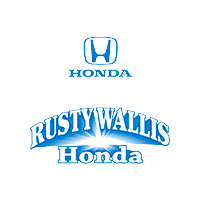 I contacted Rusty Wallis Honda and el Elba took care of everything from there. Once I got to the dealership Kim Carter was so kind and helpful, he has amazing customer service! Rusty Wallis is a great dealership with a very at home, no pressure feeling! 10/10!